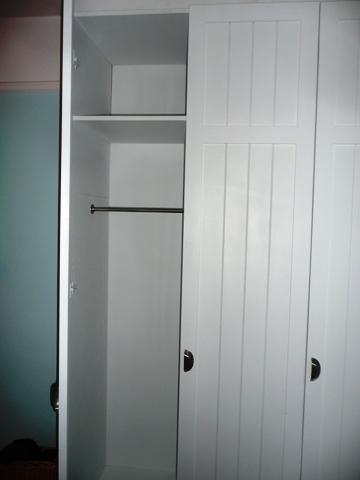 Welcome to builtin wardrobes cheap, I do both manufacture and fitting of builtin wardrobes. I make and fit builtin wardrobes as well as paint and stain built in wardrobes. Feel free to inquire for your particular built in wardrobes requirements. You could view previous job prices: Wardrobe prices. For Built in Wardrobes fitted Using MDF and Moisture Resistant MDF and Built in Wardrobes fitted using Moisture Resistant Medite or MDF this virtually eliminates the risk of shrinkage as moisture resistant boards naturally resist that very thing that contributes to shrinkage, which is drying out due to summer or central heating and swelling through damp because of winter or damage. All delivered at the very lowest prices. All work guaranteed, and made to the very highest of standards. As well as Built in Wardrobes fitted in London and Essex you might like to have some fitted bookcases made and fitted with that fully fitted look, perfect for those special books that take pride of place in your heart. Or perhaps your thinking of having some lovely fitted wardrobes or perhaps it's time to get that under stairs storage. With special rates available when your willing to pay your deposit now and wait for your installation till when I'm less busy. I am also fitting fitted bookcases; fitted wardrobes; fitted under stairs storage; fitted alcove units and cabinets; fitted bay window seats; fitted floating shelves; fitted media centres; and fitted libraries. You can expect the very best in service. Fully customized fitted furniture in Romford Essex and London made your exact specifications. I have many finishes available at affordable prices. On this page I'm showing examples of the difference between furniture fitted and how that looks compared to furniture that has the fitted look. I have alcove cabinets and the floating shelves above with the fitted look and wardrobes supplied and fitted with the fitted look optional. At the lowest prices around. Affordable Fitted Home Shelving Storage Units At The Best possible quality. Built In Fitted Wardrobes With a built in storage Solution. Including built in shelves, built in draws, built in shoe rack, built in tie rack, and the built in look. I can provide a solution for all your storage cupboards, as every piece is made to measure, your built in fitted alcove wardrobes storage solution will maximise the available storage space providing you with an efficient and elegant storage solution. I can make built in wardrobes for any space. Welcome to builtin-wardrobes. when searching the internet for a qualified carpenters and joiners that can make your builtin-wardrobes it is a good idea to view their previous completed works. When you have to choose the right tradesmen for work to be carried out on your builtin-wardrobes in my opinion it is best to either find someone that just makes a particular style of builtin-wardrobes, a style of wardrobe you like of course, in which case you’ll probably find that those builtin-wardrobes suppliers are bigger companies then the tradesmen that make your builtin-wardrobes to your design. 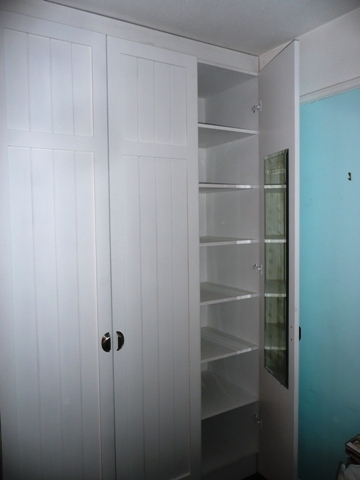 It is always best to have a clear idea of what fitted-alcove-wardrobes it is that your after. Always try to have a drawing of the type of fitted-alcove-wardrobes in mind. This helps when dealing with any minor alterations to your fitted-alcove-wardrobes design. Other wardrobe manufacturers may have different ideas. fitted-alcove-wardrobes designs exist and it help is needed don’t hesitate to inquire. Deposits for making essex-wardrobes are normal and common practice. My recommendation is to have the deposit paid using a cheque or bank transfer although we do find discounts on occasions when dealing with cash this is ok with small sums of money, but this approach can be difficult if you pay too much too soon. Our practice when making essex-wardrobes in our manufacturing unit is to have a small deposit to begin with and a sketch followed by the manufacturing and installation. Often the installation is completed in just one day, followed by the rest of the money on completion. We don’t give credit because that would result in us having to raise our prices to cover the administration of chasing monies not paid. Other considerations include weather or not your paying too much for your hardwood-wardrobes. This is always grounds for concern. If once we had purchased our hardwood-wardrobes, we found it much cheaper somewhere else, it would make us feel bad. The money saved could have paid for something else important, that now has to wait. In my experience first as a carpenter and joiner and now running a small manufacturing unit, is that price depends on so many factors. It is true to say a penny saved is a penny earned, but similarly if you pay peanuts you might get monkeys. It’s not always a good thing to pay more in the hope to get a better service. What we all want is a fair job done for a fair wage. We strive when designing and making our fitted-alcove-wardrobes to give the best value for money. When talking to the customer I find that they appreciate it when I mention to them that doing it that way or this way will cost more money because it impacts on time in the manufacturing of their fitted-alcove-wardrobes. 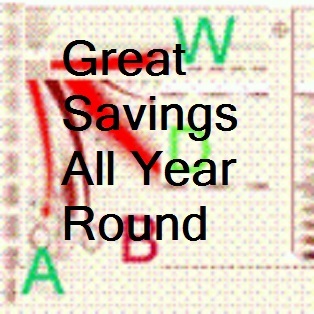 I then follow through with an alternative approach that achieves similar results without the associated costs. I will look forward to your further interest and investigation into the kind of service and hardwood-wardrobesyou may want. We are flexible and always mindful of keeping costs down. So feel free to make an obligation free inquiry and I wish you all the best. If you are considering other services that come recommended such as ideas-storage ordisabled-book-access or ideas-storage or disabled-book-access then these come highly recommended.